Dimples and creases don't discriminate against body size or skin type - anyone can struggle with the appearance of cellulite. 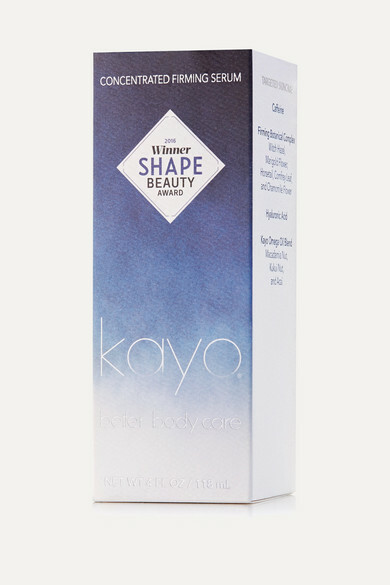 Kayo's serum is designed to firm and tighten for a younger, more radiant look. This award-winning treatment uses Hyaluronic Acid, Caffeine and signature Omega Oil to impart extreme hydration and create a plumping effect. It absorbs quickly and feels lightweight enough to be layered under other products.